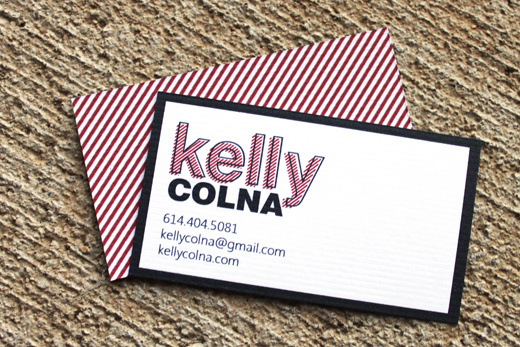 Personal business card design for design services. The bold pattern and colors are distinct and memorable. Printed on textured 80 pound paper.